(NaturalNews) In this review of The Big Short, Mike Adams raves about this film as the best movie of not just 2015 but possibly even the best film of the DECADE. Just today, China halted trading on its markets as stocks plunged to emergency levels. The Dow, meanwhile, opened with a 450-point plunge, and world markets are showing signs that the end of the cheap money bubble is rapidly approaching. According to Adams, "the global debt pyramid is on the verge of unraveling," and when it does, the crash will be far worse than anything that happened in the 2008 housing bubble implosion. This bubble market cannot stay propped up for very long. Now it may be three months from now or it may be three years, or even five years, before this happens. I can't say for sure. I can tell you, it's coming. I see a major correction in store for this trend. 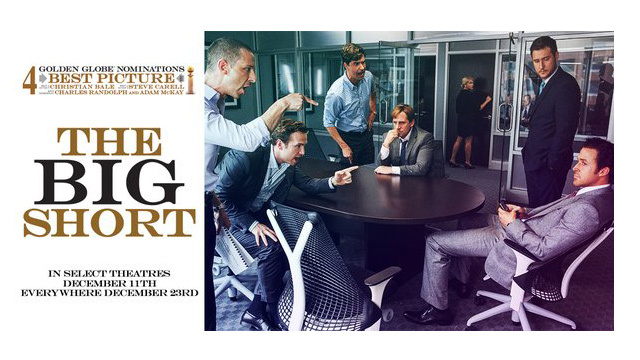 Click here for The Big Short movie review by Adams on his podcast website. U.S. cities plagued by over 300,000 apocalyptic 'zombie homes' - Is this America's future?